We're going to dig into some reggae versions this week; you and I usually call them "covers." These aren't just any old covers -- all the songs were mega-hits in their original incarnations, which gives the reggae versions a certain je ne sais quoi. 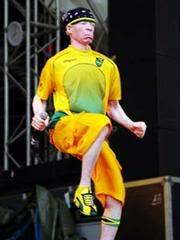 For example, how about Yellowman (pictured above) covering the equally pigmentally challenged (but of his own choice) Michael Jackson? 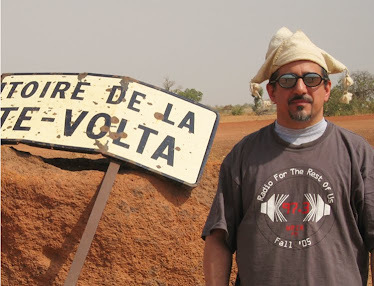 You'll also hear a track off the new album by Mamadou & Vanessa, the Berkeley-based couple who excel at neo-traditional Malian music; some roots-rock from across Europe, including Moldova's Zdob Si Zdub; and great Mande music of the 1970s and today.